The 2010 Key reunion was held in Norfolk, VA from May 20 - 23, 2010 at the Quality/Sleep Inn. On Friday, May 21 the group toured the navy base at Dam Neck, VA and then visited the nautical museum in Norfolk where they toured the battleship USS Wisconsin. 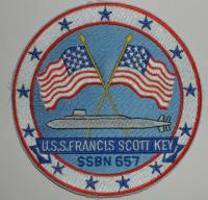 On Saturday the group toured the Norfolk Naval Base and had a tour of the USS Scranton SSN 756. After a fine lunch, the group boarded a tour boat for a tour of the Norfolk harbor and naval base. The weather was perfect. Saturday evening the banquet was held at the hotel with the base master chief giving a fine talk about today's submarine force. As you can imagine, women on submarines led the topics discussed. 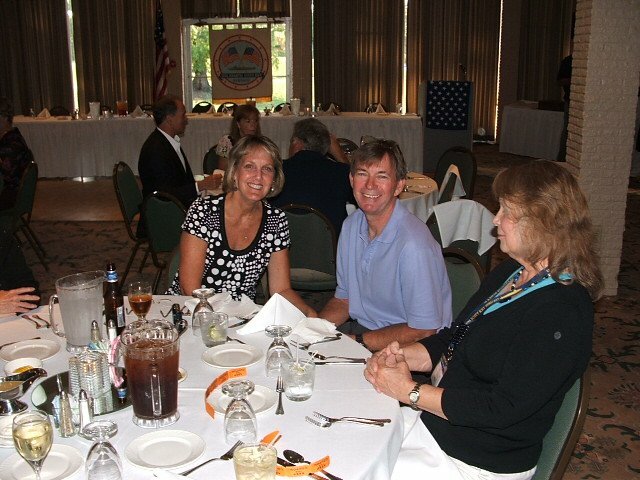 Anyone who attended the reunion, please send in your photos to ssbn657@comcast.net. Here is a picture sent in by Harry Baker taken at the reunion dinner. 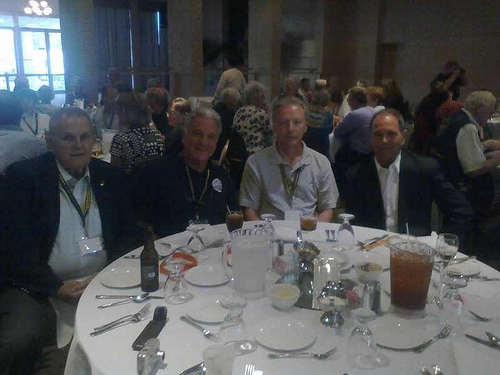 l to r: Bud Atkins, Harry Baker, Russ Christie, Joe Cyr all former Weapons Div guys in the 60's and early 70's. Our own naval artist (no he doesn't paint belly buttons) Tom Denton sent in some pictures of the reunion: - Thanks Tom. USS Harry Truman and the USS New Mexico passing each other on Thursday, May 20, 2010. The New Mexico was returning to port to drop off a sailor. The Truman was heading out to sea. Jeff Buss has over 200 pictures of the reunion on his Facebook page. There were just too many to copy here so I have included the links to his pictures. You can click on the links and they should take you there. If you get an error message, then just copy the link and paste it into your browser window. When you are on his page, move your cursor over the pictures to read Jeff's comments and descriptions.